Charlene Fortsch’s interest in prophecy began at a very early age in the environment of a Christian home. 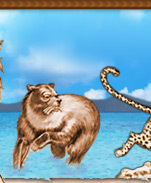 Ever since she first heard about those "unique" beasts in the seventh chapter of "Daniel," her curiosity was aroused to know what they represented. Over the years, she attended lectures and study classes, always searching for the application of Prophecy and how it fits her own generation. This search also included the New Testament "Book of Revelation." In the year 2000 she was introduced to the third Prophetic Book in this series — the "Song of Songs" (otherwise known as the "Song of Solomon"). As she began to study these three books together, the prophetic picture began to unfold. At the same time, she became acquainted with the Hermeneutic Rules and Principles of Prophetic Bible Study. 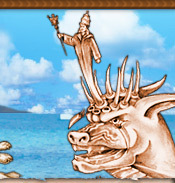 Realizing that prophecy is an exact science like Mathematics, Physics and Chemistry, she realized that it must be studied with its own unique rules. Once the rules are understood they must be applied, carefully and consistently, in each vision. Studying prophecy in this manner brought to light the application of past and future prophetic events. As Charlene learned, she began to share with many friends, printing out simple booklets with pictures and Scripture. She thought about writing a book on prophecy, to help others understand what she had been learning. When her friends and family heard of this desire, they encouraged her to write a book on prophecy in a way that would be simple enough for even a child to understand. 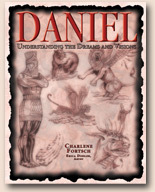 Charlene invites you to join many others around the world in this fascinating study of Daniel's prophecies. Hindi: As of January 2010, the translation is at Daniel 11. Hungarian: As of January 2010, the translation is beginning Daniel 7. German: This translation is still in the beginning stages. -- Besides a very large distribution in Canada and the USA (including Alaska and Hawaii), Daniel books are being read and studied in these countries: Australia, Belize, Bermuda, Denmark, El Salvador, England, France, Germany, India, Israel, Korea, New Zealand, Nicaragua, Philippines, Russia, South Africa, Thailand, Trinidad. Many have contacted us asking to donate. We have now provided a donate button at the top for your convenience. Erica Dissler was born and raised in beautiful British Columbia, Canada. Inspired by God's creation all around, she grew up with an appreciation for art. Mostly self-taught, Erica is currently residing in Kelowna, BC where she works as a full-time illustrator/free lance artist. "God has put within each of us the desire to create. We get to choose how we use this desire." Erica hopes her art inspires others to learn and grow in the Truth. 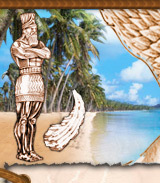 Have you ever wondered how it is possible to understand the prophecies of Daniel? If so, the DANIEL is the book for you. This is a unique book the reveals the Structure of Daniel. Structure is the key that the prophet Daniel has presented to unlock the Bible. Daniel expounds the prophecies in four distinct visions of how, from Daniel’s day onward, God has revealed the rise and fall of the seven earthly kingdoms many centuries in advance. The truths of these prophecies have withstood every attack from any earthly power or authority. The purpose of this book is to bring clarity to the text of King James Version through the use of definitions of words, maps, pictures, illustrations, charts, tables and secular historical records. Author’s comments are added only where necessary. Understanding the Book of Daniel also sets the foundation for understanding the prophecies in the Book of Revelation at which time the full explanation of both prophetic books comes alive. Enjoy the simple approach to an intricate and complex web of truth along with a clear description of coming events in the future. Available Soon: Daniel Power Point presentations. Revelation is the second book in this prophetic series. It is the last Book of the New Testament that compliments the prophecies of Daniel. The Old Testament Book of Daniel contains the original prophecy; Revelation is the revealing of that prophecy with added details. Today, the word of prophecy is more sure, with even stronger evidence, then ever before. Each year that goes by establishes another facet of unfulfilled prophecy. It may even seem that the events predicted by prophecy are the ones most unlikely to take place. Then, suddenly another aspect of prophecy is fulfilled - perhaps after decades, centuries, or even millenniums. But, the prophecies of the Bible always come true! The reason for this is: These prophecies were not made by man, but "holy men of God spake as they were moved by the Holy Ghost." The exciting Book of Revelation moves the Bible student the next step beyond Daniel. Revelation’s perfect structure is the key that the prophet John has supplied to allow the Bible to be its own expositor. As in Daniel, the object of this Book is to clarify the text with valid definitions of words, maps, prophetic pictures and illustrations, charts, tables and secular historical records. Again, the author’s comments are limited and given only when necessary to give logical meaning to the language of the King James Version. The completion of the Revelation manuscript has been delayed for a short amount of time. Since the release of Daniel, Understanding the Dreams and Visions, Charlene has been concentrating on preparing the Daniel Power Point Series as a complement to the Daniel book. This will be excellent study material while waiting for the Revelation book to be published. It will follow the same format and style as the Daniel book. As the Daniel Power Point Presentations are completed, they will be available for purchase on this website. 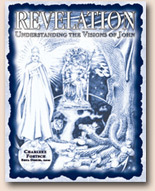 Charlene has re-opened the Revelation manuscript in 2009 with every intention to try to publish as soon as possible. It will follow the same format and style as the Daniel Book and will likely be released with a new revision of Daniel. She will post updates as to the progress through each step. Customers who have an interest in Daniel's prophecies will also be interested in this companion title "Codeword Barbelon." "Anti-Christ Is a Woman—Alive, and Well, Again!" - (Being Book 2 to Codeword Barbelon), by the indefatigable P.D. Stuart. “Why are world events spinning out of control”?“Why do the explanations we hear from our government officials seem so unreliable”? And “Why do the establishment news media leave us feeling like we have only heard part of the story”! “Was Thomas Watson right when he warned in 1910 that the evils of the credit and paper system, must, at no distant day, lead to a monetary crisis?” Why is this all happening now? Here is a book that offers Evidences that even the PLAIN READER can understand, which the SCHOLAR will appreciate, and which the SKEPTIC cannot refute… a record of facts, well-attested, burning facts, which cannot fail to convince the incredulous, arouse the indifferent and lukewarm, and inspire every lover of truth and of his country…! until the day dawn, and the day star arise in your hearts. 2006 © Copyright Charlene Fortsch. All rights Reserved.